Read this review before you buy the TREZOR Model T. We compare this premium Bitcoin hardware wallet with TREZOR One and give a full rundown of its specs. Model T Conclusion: How Good is This Trezor Wallet? 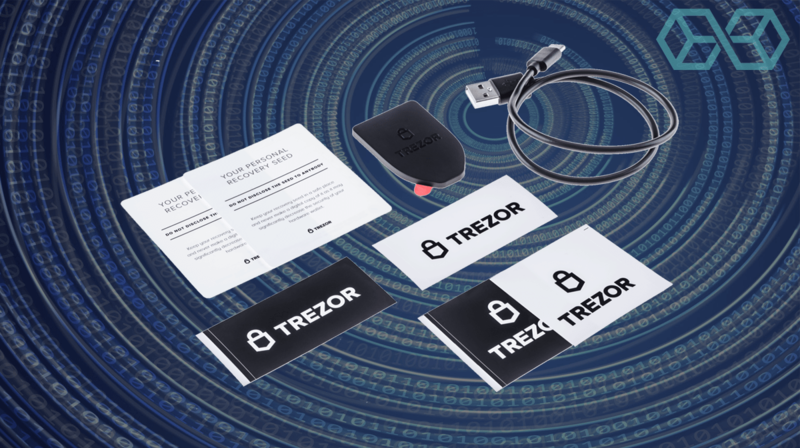 Trezor is one of the leading cryptocurrency hardware wallet manufacturers, established in 2014 when the cryptocurrency industry was still in its infancy. 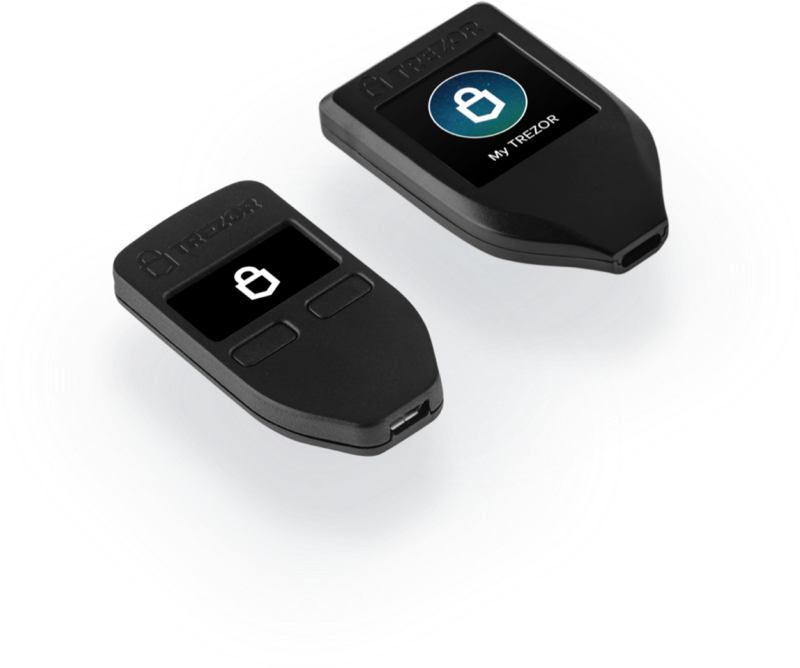 Subsequently, the original Trezor wallet was the first Bitcoin hardware wallet ever created. 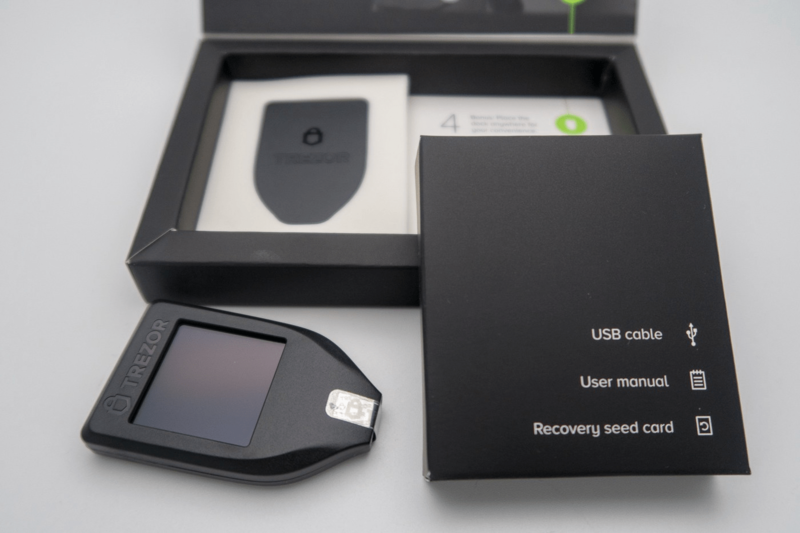 Trezor hardware wallets are the flagship project of the blockchain software and security group SatoshiLabs, which is also the creator of CoinMap. 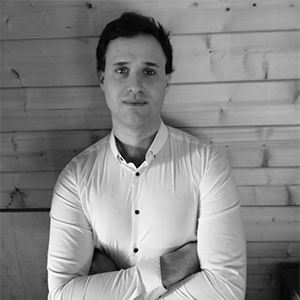 Pavol Rusnák and Marek Palatinus, the creators of SatoshiLabs and Trezor, built the Trezor wallets with audibility and open-source code in mind, rules which they still build by today. Here’s our must-read TREZOR Model-T Review for 2019. Trezor’s security model works on a ‘zero-trust’ principle. Essentially, this means that Trezor expects even the most secure systems to become compromised at some point. Naturally, this has resulted in a line of hardware wallets from Trezor which are incredibly secure. 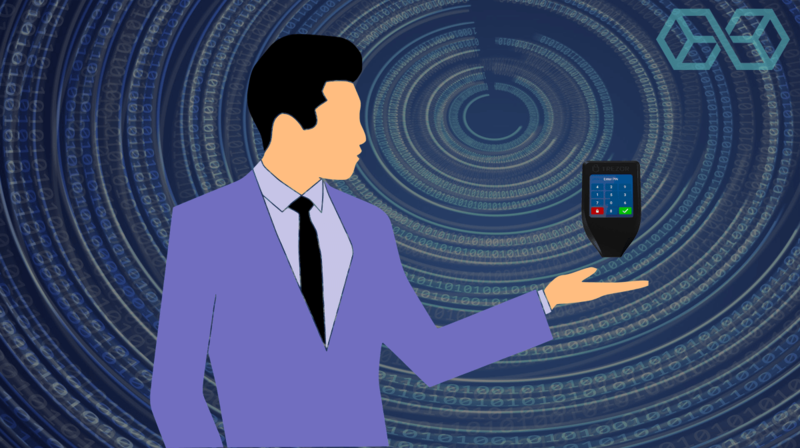 Trezor frequently comes head-to-head with close competitor Ledger and its hardware wallet offerings, and there’s typically been a ‘Pepsi vs. Coke’ like following between the two hardware wallet manufacturers. In the past, Trezor wallets have been in such high demand that there have been stock shortages of the original “One” Trezor hardware wallet. 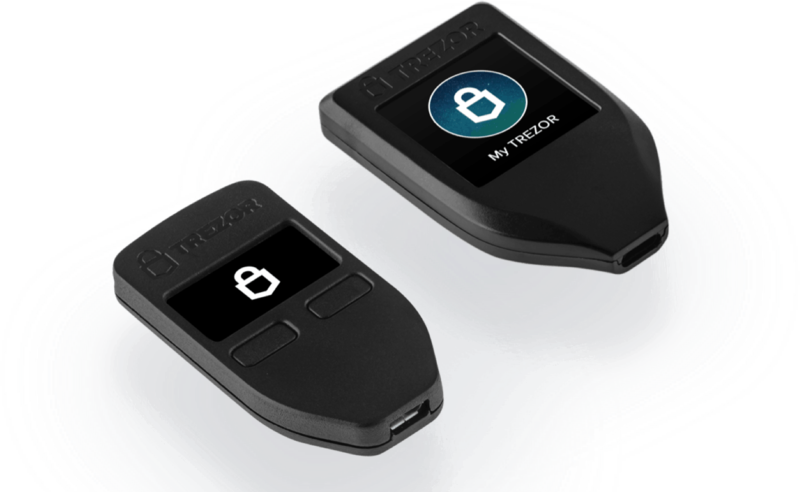 Now, Blokt looks at Trezor’s latest offering, in our Trezor Model T review, and examines how it shapes up next to its predecessor and other close competitors. 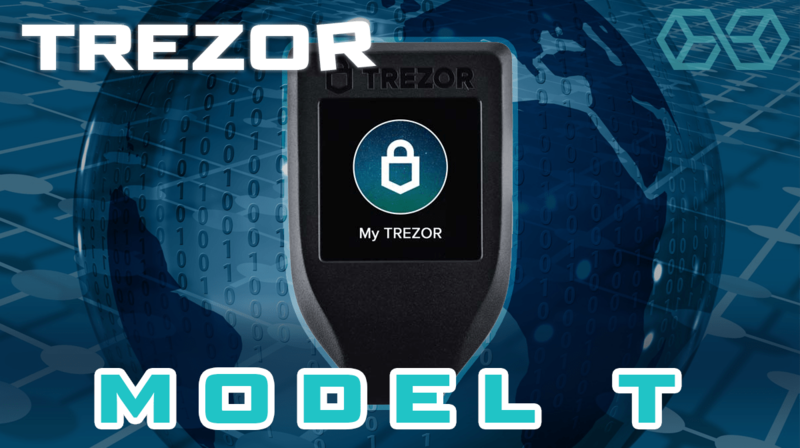 Trezor’s most premium offering, the Model T takes all the best bits from the One Trezor bitcoin wallet and enhances them with a range of new features. Users will notice that the Model T is a slightly bigger device than its predecessor, due in part to a new full-color screen which takes up most of the front of the device. The New Model T side-by-side with its predecessor, the Trezor One. 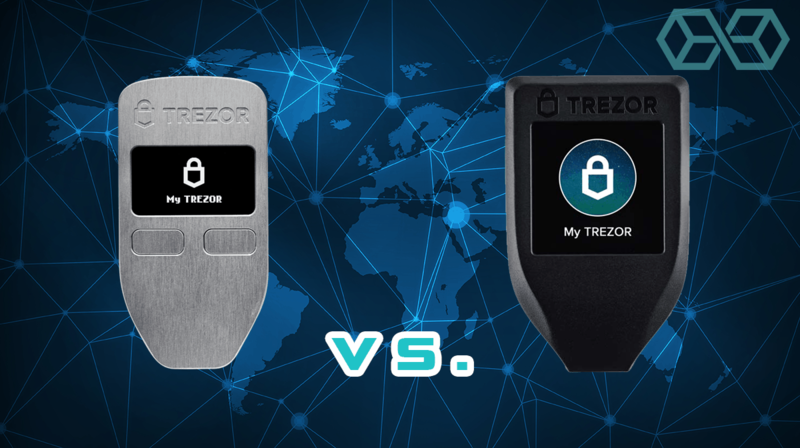 Our Trezor wallet review explains the differences. Storage: MicroSD compatible, which allows the use of encrypted storage. CPU: 168 MHz embedded ARM processor. The Model T arrives in a premium looking packaging, complete with all the essential accessories for use, along with detailed instruction guides. The Model T also comes with a magnetic docking port which you can stick by your desk if you need to grab your Trezor in a hurry. When unboxing, users will notice that the Model T will have a ‘holo-seal’ which covers the USB port of the device. This is tamper-evident packaging, which can also be found on the outside of the box, so you’ll know if someone has used the device before you. If the packaging is damaged, return it to Trezor and don’t use your device – as you could lose your funds. Overall, the look and feel of the Model T is robust, but light. It’s got a plastic body, with an open port at one end for a single USB connection. The 240 x 240 pixel screen has a bright, glossy finish and easy readability. The Model T also has a MicroSD card slot on the side, for extra storage – a planned future feature. Compared to some of its closest competitors, it doesn’t have the metallic finish or casing like the Ledger Nano X or KeepKey, but users can get their hands on metallic special-editions, such as SatoshiLabs 5th anniversary edition. These metallic editions definitely have a luxury look, but come at a price premium. However, compared to the Ledger Nano X, the Model T comes in at exactly half the weight, making it a more desirable option for those who like to keep weight to a minimum. Like its predecessor, setting up the Model T straight out of the box is fairly straightforward. Users are directed to download the Trezor Bridge software and install Trezor’s firmware on their device. All Trezor models come without firmware, making sure the latest version is installed at its first use, to ensure they aren’t vulnerable to hacks. Once the firmware is installed, users can now begin using the Model T to store their cryptocurrency. You might notice that the Model T doesn’t require users to back-up their mnemonic phrase, despite providing a card to write it down on. This allows users to skip the lengthy process of writing down their phrase when they first use the Trezor bitcoin wallet. Most other hardware wallets will ensure you write down your phrase, then have you re-enter it to ensure you’ve done so. Trezor wallet review: You’ve got you’re Model T unboxed, now it’s time to set it up. However, Trezor users will be prompted and reminded to write down their phrase, despite being able to use it without doing so. Despite this, it’s strongly recommended that you write down your phrase before you store any crypto private keys on the device. If you forget your PIN, lose or break your device, you may lose your funds forever. 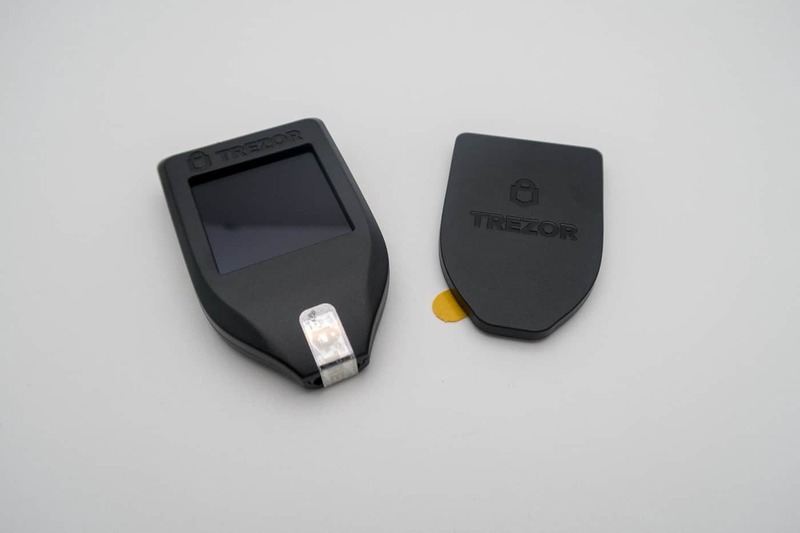 The Model T and Trezor One have the same basic security features, and they largely differ in terms of accessibility and price. 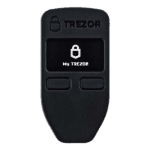 Security (PIN, Passphrase, Device Recovery) The Trezor One requires all security info to be input through a mobile or computer, linked via USB. On the Model T, users can securely enter their security details on the device through the touchscreen, offering an extra level of protection. 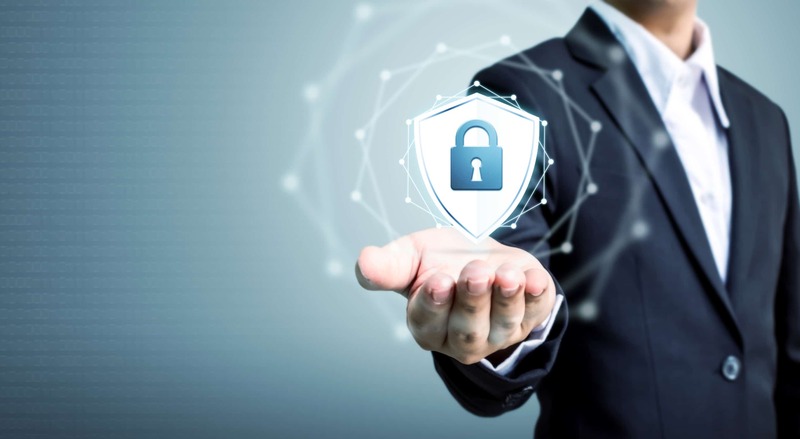 Password Management Trezor One users will have their password stored in encrypted storage on the cloud. Model T users currently have passwords stored in the cloud, but will soon be able to store passwords on the device removable storage. 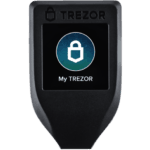 Other Features The Trezor One features no extra storage or encryption. The Model T has MicroSD storage capacity with Trezor data and file encryption coming soon. Should you buy Trezor T? The touchscreen offers enhanced security features with its changing keypad configuration and allows users to input their seed phrase during recovery straight onto the device; removing the dangers of exposing sensitive information on a ‘hot’ device. However, the screen is on the small side, which can make operating the device a bit of a challenge. The Trezor One, which uses physical buttons to navigate its menu, actually feels a little easier to use, offers the same security standards, and is available for less than half the price. Even though some users won’t be at all concerned with the aesthetics of their hardware wallet, the Model T isn’t the flashiest looking device. Compared with the Ledger Nano X, or even the older Ledger Nano S, both of which feature brushed metallic covers, the Model T looks fairly utilitarian with its all black plastic body. See our Ledger Nano X review for more on Ledger’s new model. In terms of security, though, the Model T really excels. Trezor’s long standing commitment to open-source and auditable code ensures that tech-savvy users can validate the security of Trezor’s firmware. Likewise, Model T’s screen and planned SD card compatibility guarantee users will never have to expose sensitive information. All in all, despite its fairly high price, the Trezor Model T is a safe, easy access and functional hardware wallet, which once again proves that the original name in cryptographic security can continue to innovate five years after its launch. Anyone looking to buy Trezor’s Model T wallet will not be disappointed. 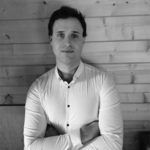 "All in all, despite it’s fairly high price, the Trezor Model T is a safe, easy access and functional hardware wallet, which once again proves that the original name in cryptographic security can continue to innovate five years after its launch."